Many musicians and creators say the legislation will compensate artists fairly – but others argue that they will destroy user-generated content. It has taken several revisions for the current legislation, which was was backed by 348 MEPs, with 278 against, to reach its final form. It was Article 13 which prompted fears over the future of memes and GIFs – stills, animated or short video clips that go viral – since they mainly rely on copyrighted scenes from TV and film. However, specific tweaks to the law made earlier this year made memes safe “for purposes of quotation, criticism, review, caricature, parody and pastiche”. 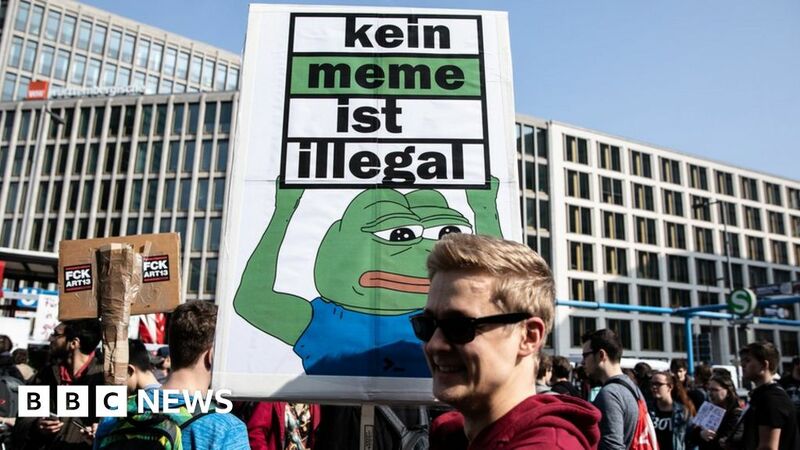 The European Parliament said that memes would be “specifically excluded” from the directive, although it was unclear how tech firms would be able to enforce that rule with a blanket filter. MEP for London Mary Honeyball said: “There’s no problem with memes at all. This directive was never intended to stop memes and mashups.